Billionaire who in 2008 announced the Pickens Plan to help the United States rely less on foreign energy. He learned business and discipline at a very young age by delivering newspapers when he was 12. 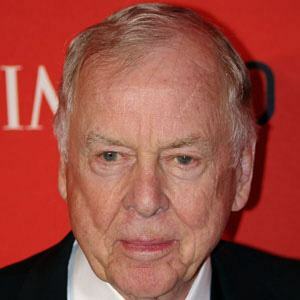 His donation to his alma mater led to the Oklahoma State football stadium being named Boone Pickens Stadium. He had four children with his first wife Lynn. He married his fourth wife Madeleine Paulson in 2005. In 2007, he served as an executive-committee member on Rudy Giuliani's presidential campaign.